1977 – Apple Computer shows off the Apple II home computer at the West Coast Computer Faire. 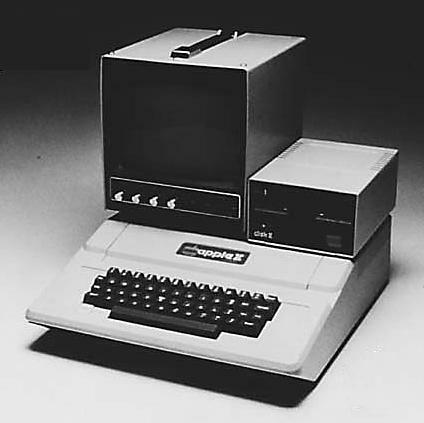 The $1,298 Home machine featured a 6502 processor, 4kb RAM 16kb ROM and for the first time – A home computer with color graphics. Apple II was the most recognizable home and school computers in the 80s and 90s. I personally would play Ultima III and Ultima IV on an Apple II after school. The final Apple II rolled off the line on October 15, 1993. Commodore also unveiled the PET 2001, which is a full-featured computer. It also had the 6502 processor, 4kb RAM, 14kb ROM and a cassette drive for $595. The Pet was replaced by the PET 2001-N in 1979.